Ly Rith turned and lowered his tools as a band of Black Monday protesters approached from the end of his street, where he had been hammering together a small wooden frame. Clutching his hammer, Mr. Rith raised his right fist in solidarity and joined the demonstrators in a chant. The small crowd shouted for the release of jailed land activist Tep Vanny. “I am one of her supporters. She is a strong lady in the community who protested for people’s land,” he said on Monday in Phnom Penh’s Boeng Kak community, the site of the long-running Black Monday protests over jailed activists and rights workers. Ms. Vanny is being held over a 2011 protest in which activists demanded 94 displaced Boeng Kak families be given plots of land, and a 2013 case in which she was charged with intentional violence. As the marchers moved down the street, Mr. Rith lowered his fist—he did not join them. “I am afraid to walk and protest because the Boeng Kak community is still a target of the government’s crackdown on public activities,” he said, watching the protesters—numbering about 20—walk away. 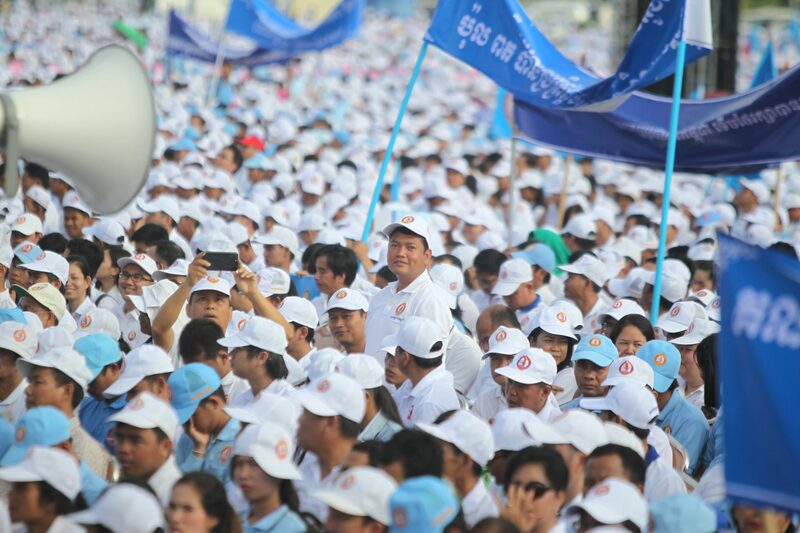 His concerns were not without cause, as trailing only meters behind the demonstration were a dozen Daun Penh district security guards. The guards had kept watch while the protesters gathered outside the home of Boeng Kak resident Phan Chhunreth at about 9 a.m., then followed the group as they wound their way through the community, drawing the attention of onlookers. “Today, we are walking to Ms. Tep Vanny’s house to encourage everyone here to support and remember what Ms. Vanny has sacrificed for the Boeng Kak community,” said Boeng Kak activist Sung Sreyleap. Ms. Sreyleap said a petition calling on Prime Minister Hun Sen to intervene and order court officials to release Ms. Vanny would be delivered to the prime minister’s office today. 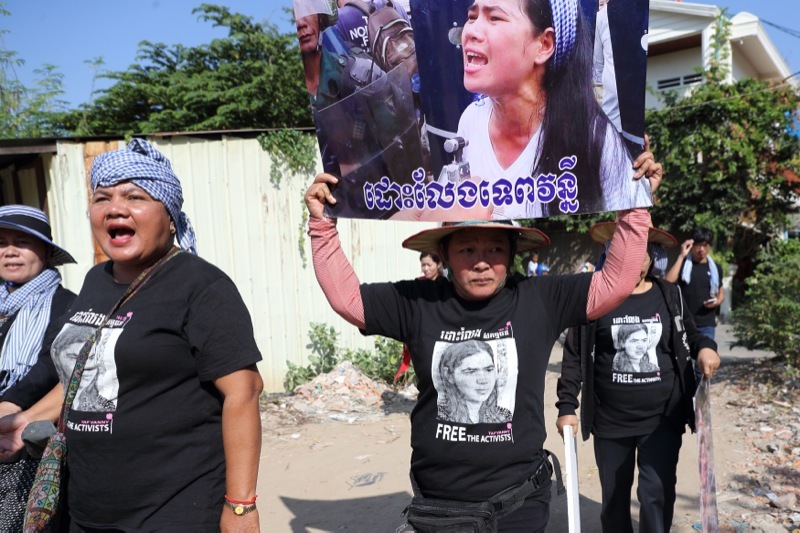 “Samdech Hun Sen said in the National Assembly that he would consider releasing some prisoners, so we hope Ms. Vanny is one of those whom he is considering,” she said. Contacted by telephone on Monday, Phnom Penh Municipal Court spokesman Y Rin said a trial hearing over Ms. Vanny’s 2013 charge would be held on February 23.